“No one cares about the TV quality inside the RV.” Yeah, I’ve heard that too. But you need to care, especially if you’re thinking about putting a TV in that RV for the first time. You need to know about some serious changes that are happening with DIRECTV and DISH. Of course, you probably wouldn’t put a tube TV in your new RV anyway, even if you could find one. They are heavy and take up a lot of space. But most likely you were thinking of putting in a smallish flat TV and maybe you were thinking, save a few bucks and get a standard-definition-only setup. 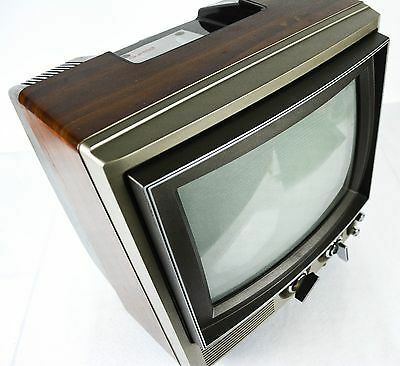 Standard-definition, in case you’ve not heard the term before, means the kind of TV we all watched back in the 20th century, with relatively blurry images on a relatively square screen. Even when standard-definition images are shown on today’s flat TVs, it’s pretty easy to tell the difference. And it’s true, it’s harder to tell the difference on smaller TVs or from a larger difference, but it’s always there. If you’re thinking that you don’t need to pay extra for a dish that picks up today’s high-definition images, here’s the bottom line. Time’s up for DIRECTV customers. DIRECTV is not activating new standard definition accounts except in special cases, and the reason is simple: they’re cutting out all standard definition service within two years. They’ve been working up to this for close to a decade, and with their older satellites going out of service, they’re moving forward with HD and its even glitzier cousin, 4K. DISH customers shouldn’t be so smug either. DISH still lets you get standard definition equipment and most smaller sized RV dishes can get at least some HD content. But it’s clear the writing’s on the wall there as well. There’s no motivation for DISH to keep putting out standard-definition signals on satellites that cost them a lot of money to operate once DIRECTV stops doing it. While they haven’t made the announcement, it’s pretty likely they’ll cut and run on standard-definition not long after DIRECTV does. In fact I expect the entire pay-TV industry to follow DIRECTV’s lead and go HD-only by 2021. You heard it here first folks and you can pull this article up in three years and tell me how I’m doing. So when you look at things that way, you have to be future proof. You can’t be putting in an expensive satellite system in that RV you’ve bought and know that it’s going to be useless in just a few years. You don’t want to do that. What you do want, is to call the experts at Solid Signal at 877.312.4547 and get the right answers. No one activates more RV satellite systems and no one has the level of expertise we do. It’s definitely worth giving us a call and finding out what your options are. Don’t get stuck with the wrong system!